Today, the GCRFEV donated relief amount to the 10 Vajracharya priests from Bajracharya Pujavidhi Training Center. They are all earthquake victims. Located in Lalitpur, the houses of some of them were completely destroyed and some cracked in such a way that they are now unstayable and on the verge of collapse. 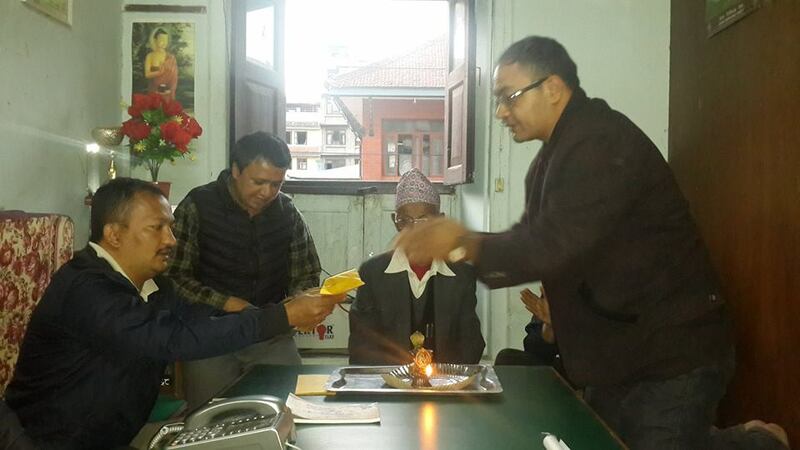 The GCRFEV handed over that amount to the treasurer Mr. Rajesh Bajracharya while the president Mr. Yogendra Bajracharya distributed them individually to the earthquake victim Vajracarya priests in a program organized by the Bajracharya Pujavidhi Training Center, Nyakhachowk. 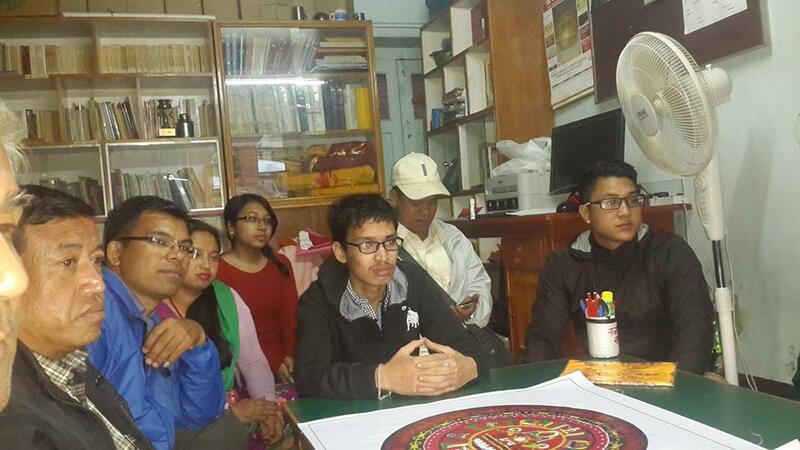 The program was chaired by the main instructor of Bajracharya Pujavidhi Mr. Buddha Ratna Bajracharya and conducted by the senior instructor Mr. Deepak Bajracharya.